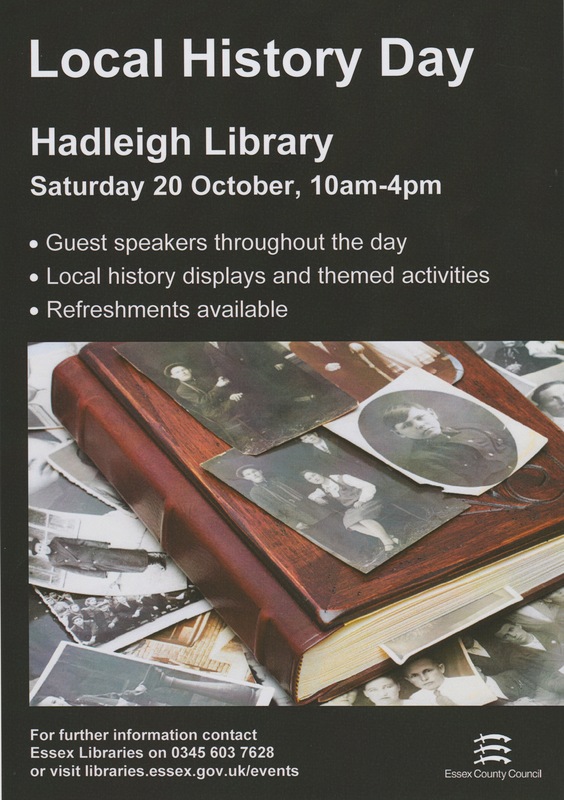 This was so successful in February this year that a further FREE Local History day has been arranged in Hadleigh Library. The programme of events is below so that you can time your attendance. With your kind permission and attention, visitors are reminded that this is also a gilt edged opportunity to bring in photographic images, deeds and documents with a view to having them scanned and returned.